The devil may indeed be in the details, but so is the beauty! 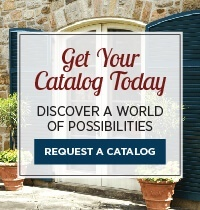 For installations that are wonderfully particular when it comes to the shutters themselves – from color to size and beyond – then why wouldn’t they show as much care when it comes to the hardware? 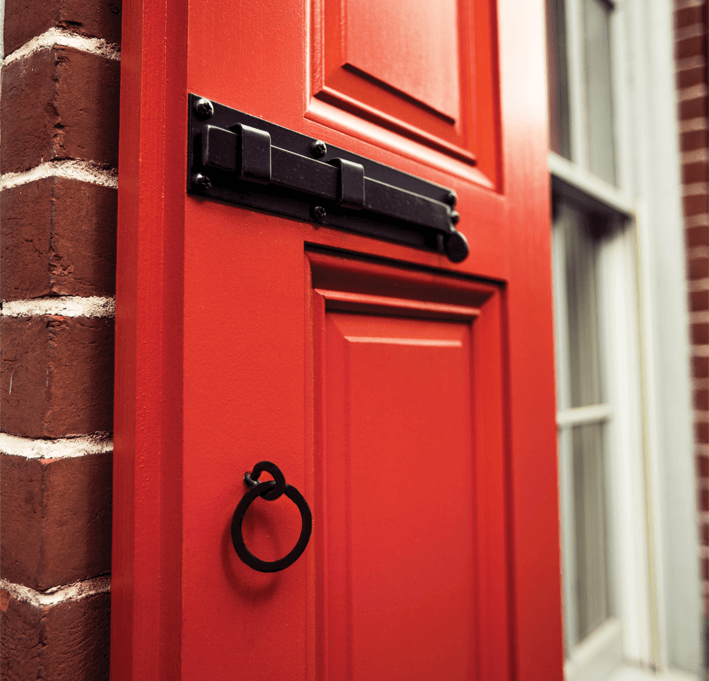 In this gallery, you’ll find clever tie-backs, modern hinges, and unexpected accents that really elevate a home to that next level. 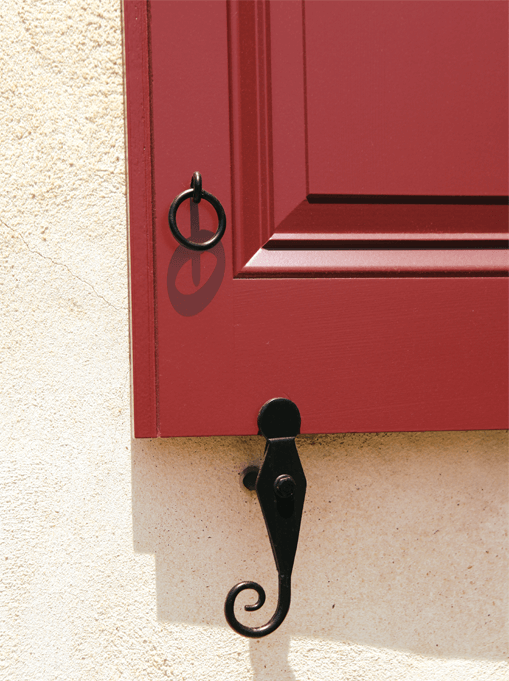 Pull rings, slide bolt, and Sill Mount Vintage Grape Tiebacks on neutral raised panel shutters. 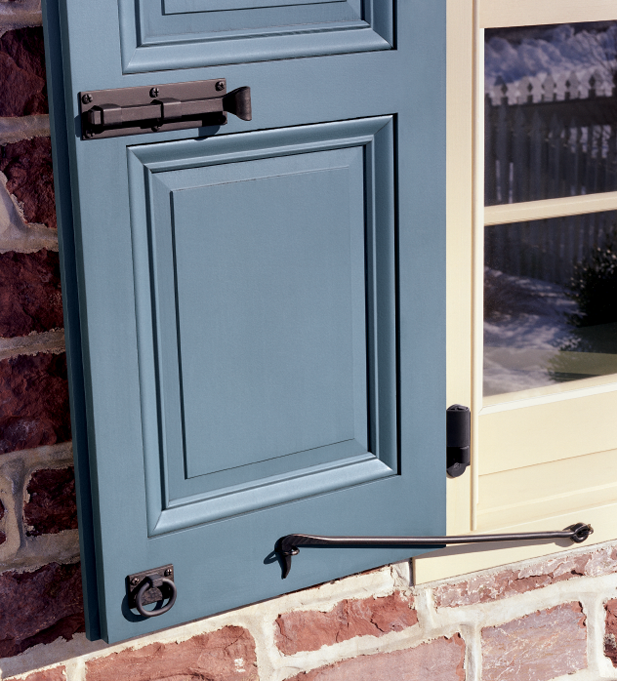 A classic look: the Hook and Staple, slide lock, and elliptical pull ring on Colonial Times Blue. 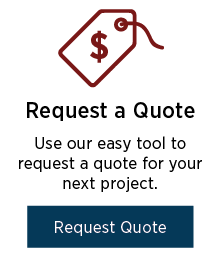 Pull ring and Offset English Rat Tail Tieback on raised panel shutter. 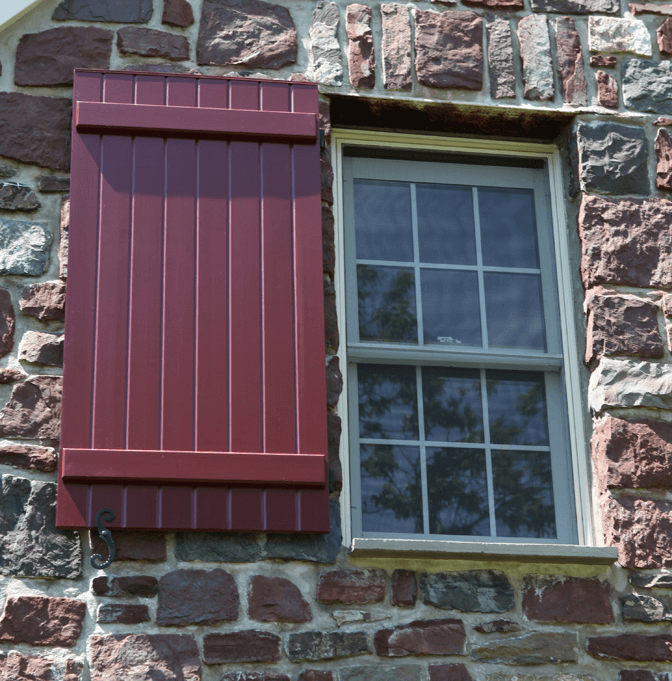 “S” Beveled Tieback on a Country Red board & batten shutter. 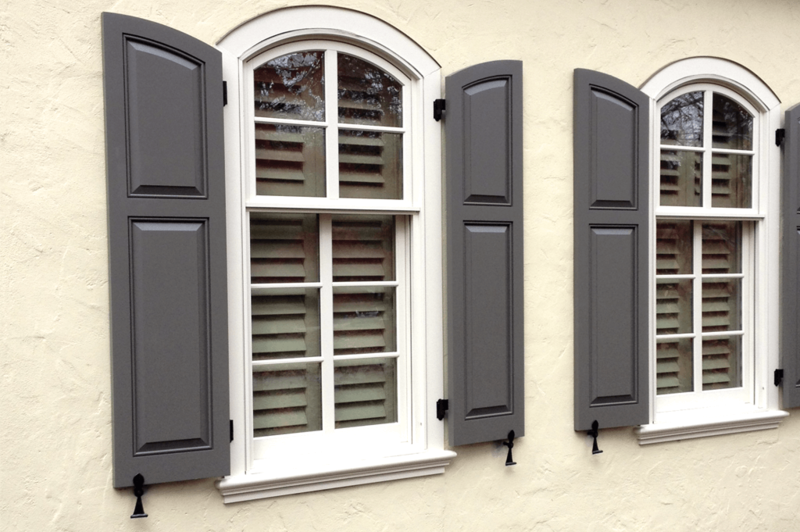 Belmont tiebacks on radius-top panel shutters in Slate Stone. 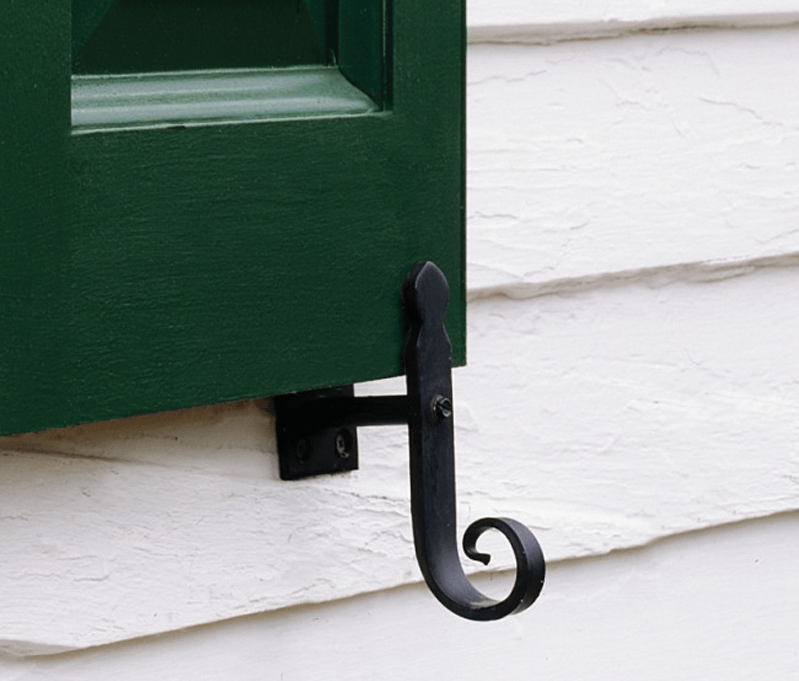 Plate Mount Rat Tail Tieback on a green, raised panel shutter. 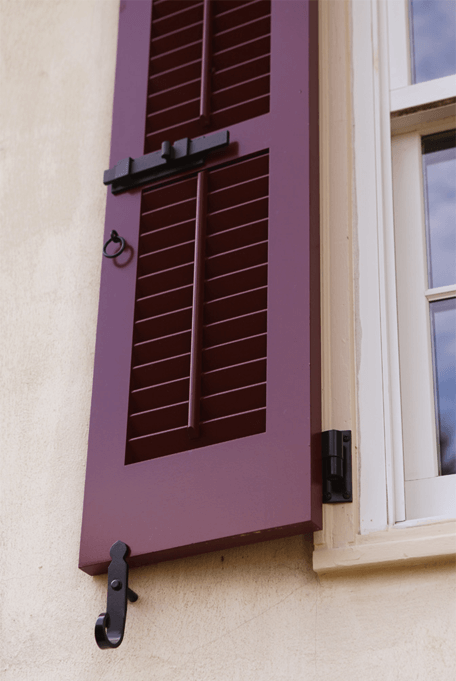 Copper capping adds style while protecting wooden shutters from water damage. 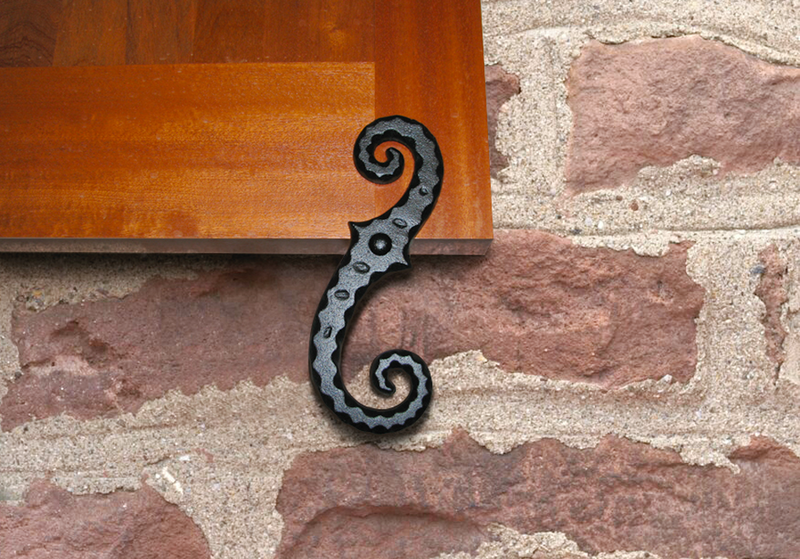 Our faux hardware is a great way to add style to fixed-mounted shutters, as with this faux “S” tieback. 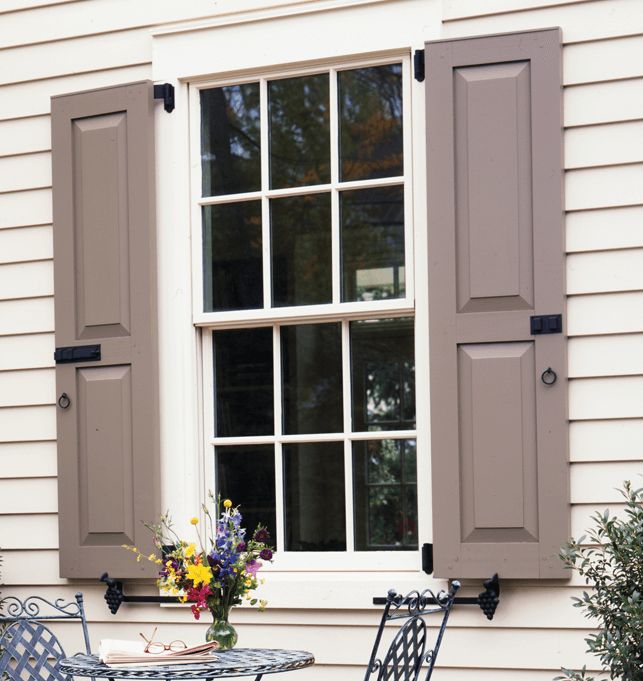 Sill Mount Rat Tail Tiebacks, slide bolts, and pull rings dress up this gray panel shutter. 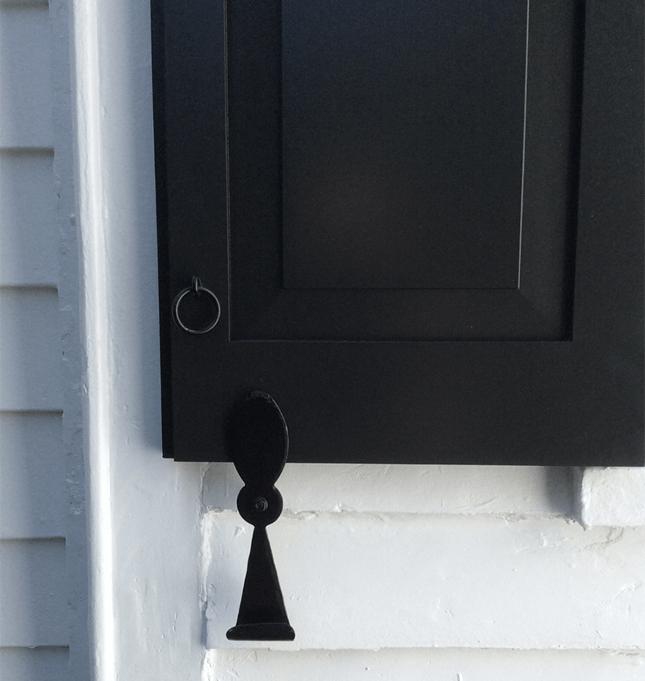 Lag Mount Rat Tail Tieback with centered orientation on a Pitch Black, raised panel shutter. 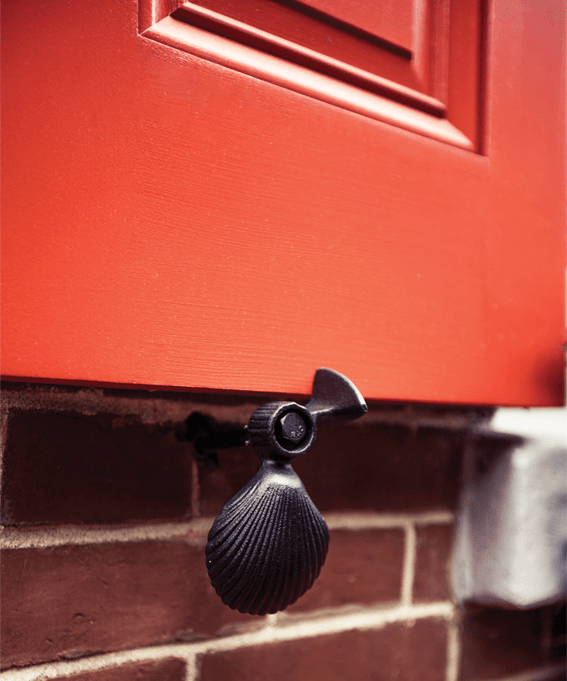 Lag Mount Scallop Tieback on panel shutter in Really Red. 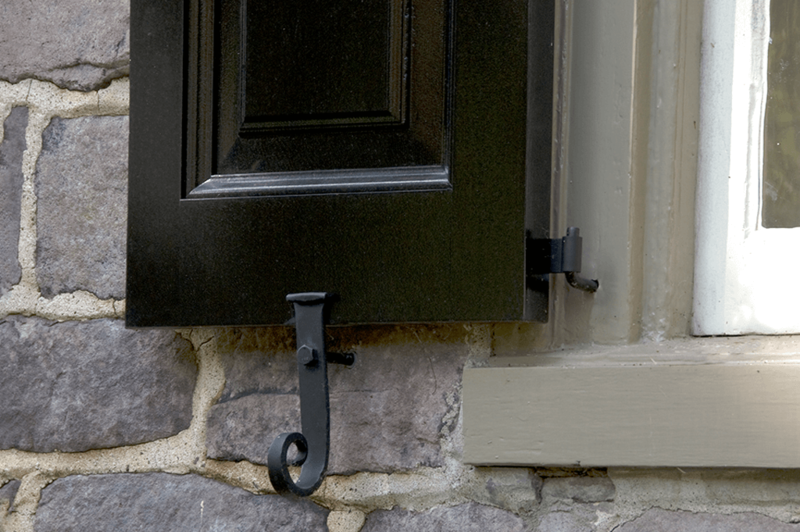 Pull ring, slide bolt, and Lag Mount Belmont Tieback on an operable louver shutter. 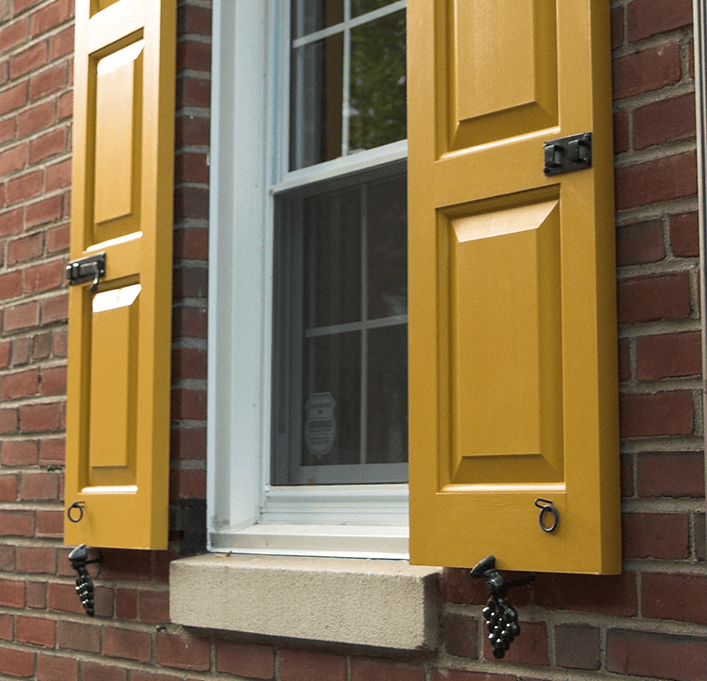 Vintage Grape Tiebacks, pull rings, and slide bolt on a custom yellow shutter. 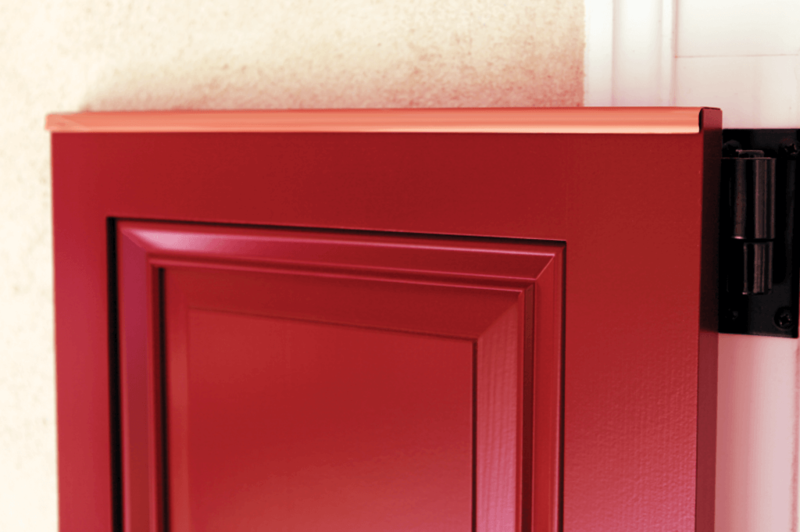 Slide bolt and pull ring on a Really Red raised panel shutter. 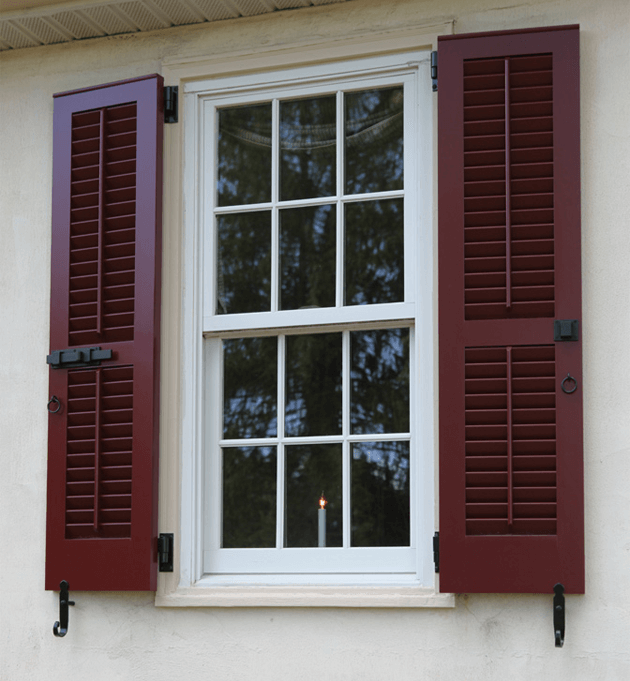 Candle-lit windows combined with pull rings and tiebacks really make a home glow. 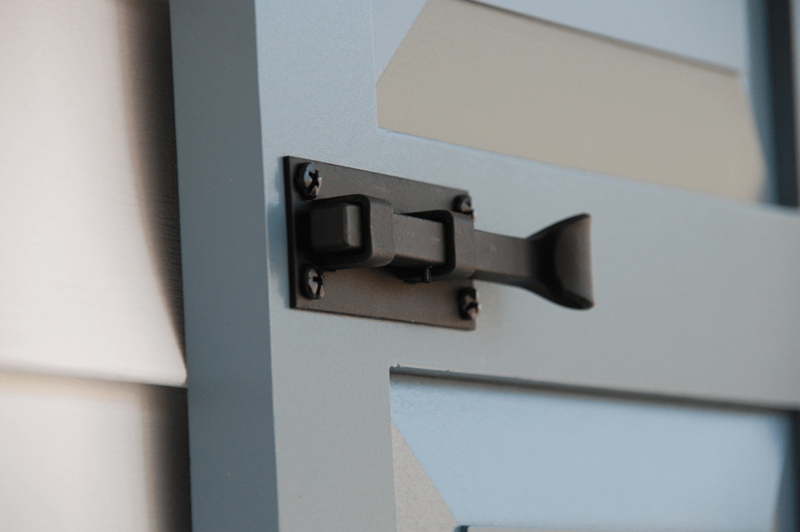 Slide bolt fixture on a blue panel shutter. 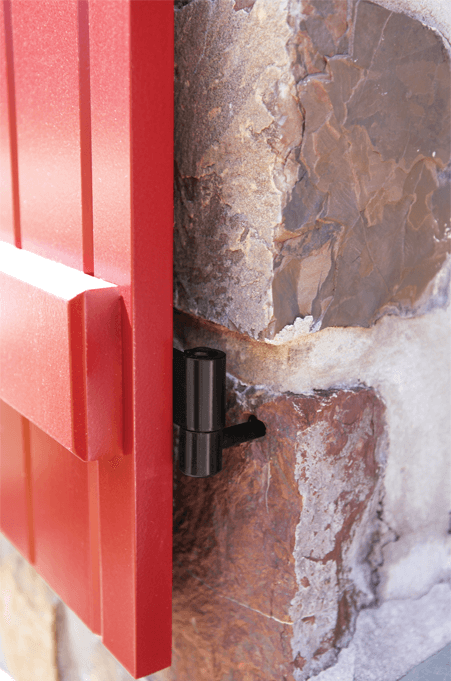 Lag Mount Pintel and hinge set on Really Red board & batten shutter. 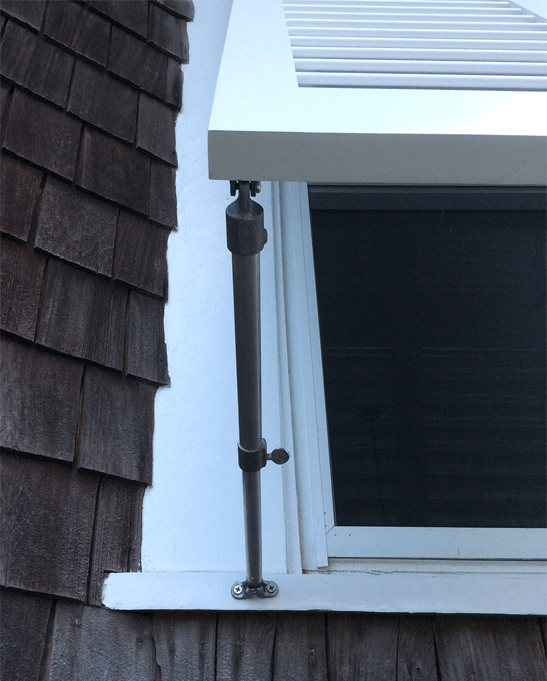 Bermuda support arm on a Bermuda shutter in So White. 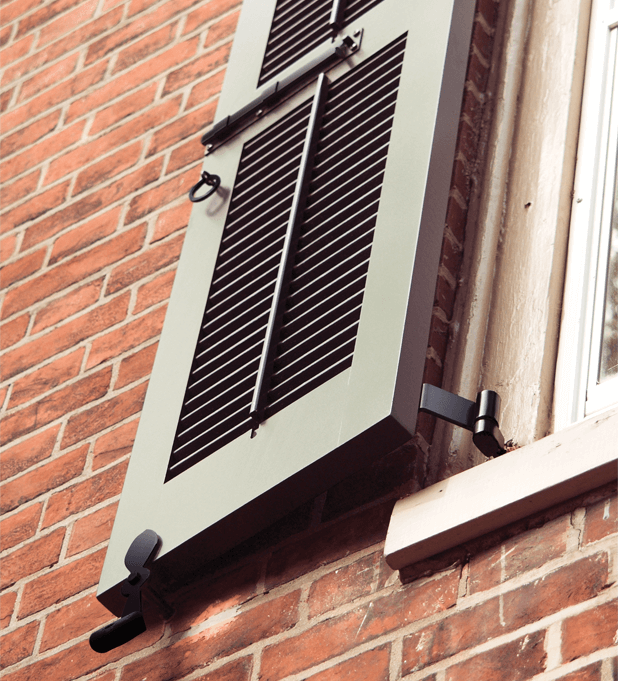 Slide bolt, pull ring, and Rat Tail Tieback on an operable louver shutter. 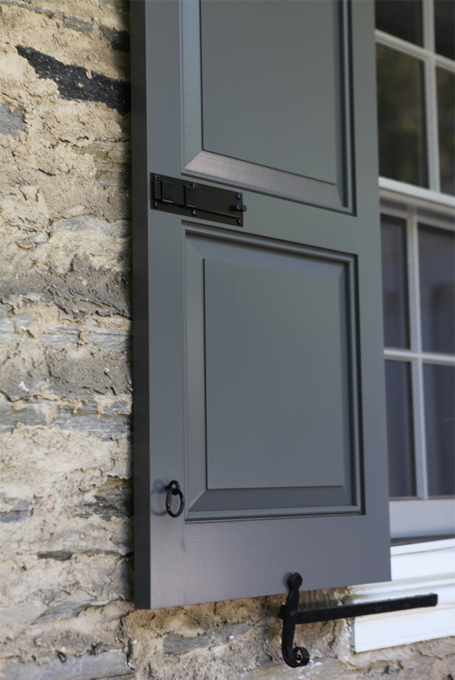 Pull ring and Belmont Tieback on a Pitch Black panel shutter.